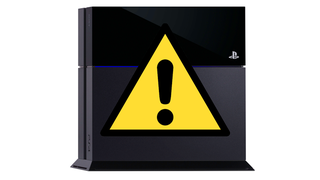 UPDATE (4:01pm) - This afternoon, EA put up a blog post blaming the PS4's day-one firmware update for "stability issues" affecting games on the new console. Now they're saying that was a mistake. "The message on EA's Help site was posted in error," an EA representative said in an e-mail to Kotaku. "Players with questions about PS4 connectivity can visit https://support.us.playstation.com/app/answers/de… for the latest updates." Despite EA's warnings, we at Kotaku have been able to play multiple PS4 games without a problem since Tuesday night, when we downloaded the patch to our retail units. We've been playing games like Knack, Killzone, and Assassin's Creed IV without any hitches. However, I've had a few issues getting Madden 25 to load, and Evan is having some stability issues with Need for Speed, although both of those problems could be chalked up to Internet deficiencies. We've reached out to Sony for more info, and we'll update should they comment. For now, your best bet might be to hold off on downloading the system update if you want to play EA games. The original title of this post read "PS4 Day-One Update Is Breaking Things, EA Says."